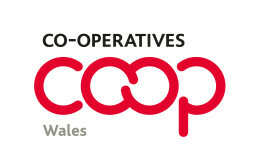 The Co-operative Press, which publishes Co-operative News, is seeking to recruit a board member. Co-operative News is the fortnightly magazine and website that publishes news, analysis and opinion from the UK and global sector. Its mission is to connect, champion and challenge co-operatives. Four full-time staff are employed by the co-operative (editor, deputy editor, marketing executive and multi-lingual journalist) along with a part time journalist and some freelance journalists on an ad hoc basis. There is a vacancy on the board for a co-option. As an innovative co-operative, the board is looking for a person who can help with the strategic direction, particularly with its focus on digital development. Ideally, the board is looking for a candidate from Wales, since directors already represent England, Northern Ireland and Scotland. The applicant must share the passionate belief in the continuation of an independent Co-operative Press. The Co-operative Press also strives for equality throughout the co-operative. Its board consists of three women (inc. chair and vice-chair) and five men with an independent secretary. The board meets around 4 times a year in Manchester at Holyoake House, with one extra meeting being before the annual meeting, normally held at Co-operative Congress, wherever that may be. A commitment to co-operative values and principles is obviously essential too. Applications are open to all, whether you are an individual co-operator or affiliated to a small or large co-operative. Though, at this time, we cannot accept any elected members or staff from the Co-operative Group, since this organisation is already well represented. A fee of £500 per annum (before tax) is paid to directors. Travelling expenses are paid and a buffet lunch is provided.